Let us remind you of the approaching "6th International Simuliidae Symposium" that will be held in Torino, Italy, on 16th - 19th September 2014 and will embrace all areas of black fly research. The registration fee is 150 € for tenured participants and 110 € for students. The venue of the meeting will be the Regional Museum of Natural Sciences and the city is directly served by the airport of Torino-Caselle or can be reached with a two hour bus journey from Milano-Malpensa. (Faculty of Natural Sciences), Bratislava, Slovakia.. The 3rd. September will be for registration and an evening welcome reception. Simuliidologists are invited to register interest in attending the 30th meeting of the British Simuliid Group is being organised by the Natural History Museum, and it is hoped to hold it in the newly built entomology building (called Darwin Centre II) on Friday 18th September 10:00-16:00. There will be no charge for attending the meeting, although there will be a small charge for lunch (which will be provided in the Museum). On the evening of Thursday 17th there will be an informal a la carte meal in a nearby restaurant for anybody (partners/spouses/etc are welcome) who wants to come. The format will be the same as usual, a series of talks and posters. Please contact Rory Post with offers of presentations. Length of talks is flexible, and the presenter should say how long he/she wants up to a maximum of 30 minutes (including discussion). 3rd European Simuliidae Symposium 2008. The Symposium will be held in Lithuania in the capitalVilnius in September 2008. 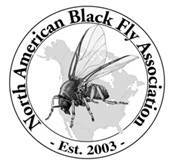 The meeting will embrace all areas of black fly research. at the Oxford University Museum of Natural History, South Parks Rd., Oxford, OX1 3PW, U.K.
will be held February 5-7, 2005, at the Archbold Biological Station in Lake Placid, FL. 18 September 2002 – Center for Hydrology & Ecology, Dorset, U.K.